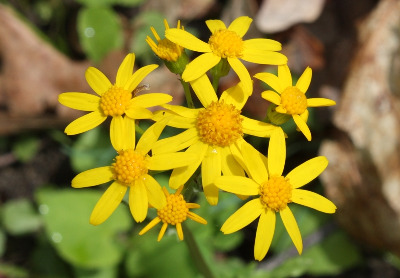 Senecio obovatus of Michigan Flora. Rich forested hillsides, banks, oak savanna, dry to moist grassy sites. 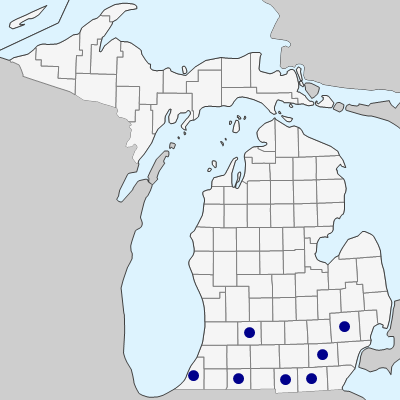 Southernmost Michigan is along the northwest edge of the range of this species, which occurs to the south and east of a line roughly from central New England to eastern Kansas and Texas. MICHIGAN FLORA ONLINE. A. A. Reznicek, E. G. Voss, & B. S. Walters. February 2011. University of Michigan. Web. April 21, 2019. https://michiganflora.net/species.aspx?id=416.